The Mariner Table is a rectangular dinner table which seats 10. It is made of high gloss laminate with mirrored edges and sits on two rectangular pedestals. It is available in black and white. 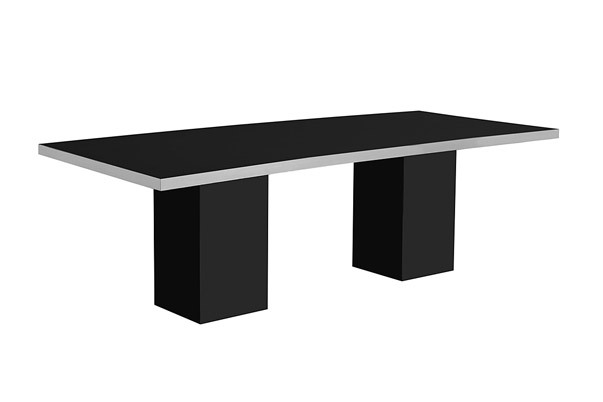 The Mariner Dining Table is one of the components of the Mariner Dining Grouping – Black.